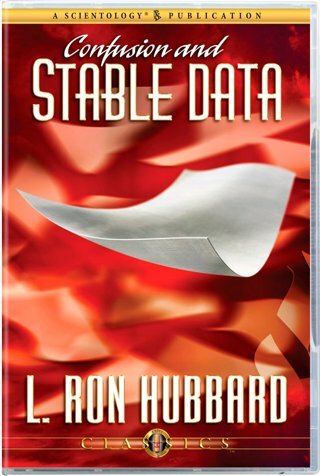 In regard to life, L. Ron Hubbard delineates the anatomy of confusion, illustrating why a stable datum is far more valuable than a line of logic. In regard to auditing, phenomena that occur between auditor and preclear, both in and out of the auditing room, can be understood in terms of confusion and a stable datum. One who knows this technology is poised to achieve far greater success as an auditor, preclear and in life. Here is the breakthrough technology that can resolve any and all confusions—but from a new perspective. For this is the stable datum applied to both life and auditing. In regard to life, Mr. Hubbard delineates the anatomy of confusion, illustrating why a stable datum is far more valuable than a line of logic. In regard to auditing, phenomena that routinely occur between auditor and preclear, both in and out of the auditing room, can be understood in terms of confusion and a stable datum. Viewed from this perspective, auditing and the auditor-preclear relationship take on new meaning, for these fundamentals lie at the foundation of every successful session. Here, then, are discoveries about the very woof and warp of existence. Whether or not an individual is aware of these principles, they are in operation 24 hours a day, 7 days a week. One who knows this technology—and particularly, who understands its whys and wherefores—is poised to achieve far greater success as an auditor, preclear and in life.